The Rescue Dinos have arrived! 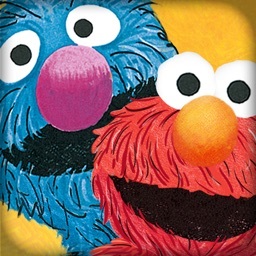 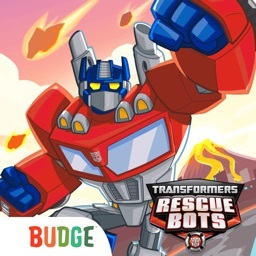 Two friends of Griffin Rock Rescue, Professor Baranova and Frankie Greene, have gone missing on a mysterious island, but conniving and greedy Colonel Quarry, the only person who knows where to find them, is refusing to help! 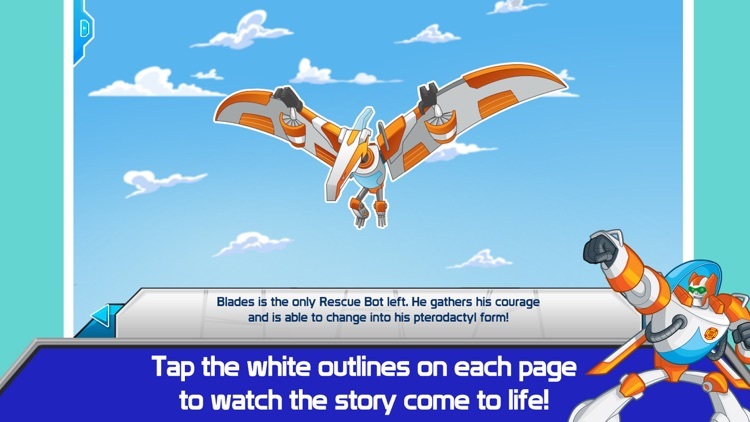 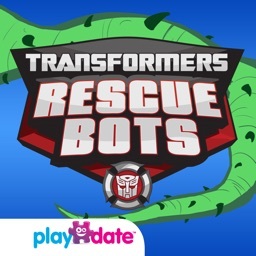 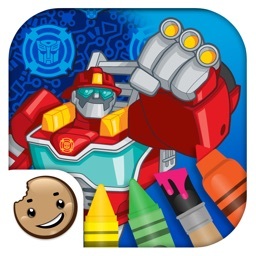 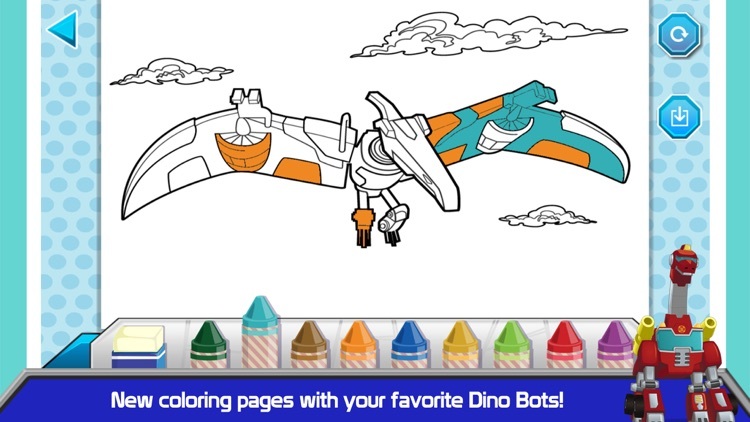 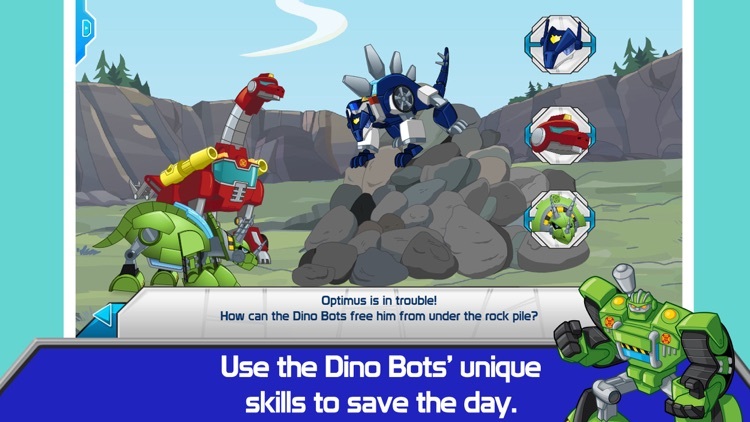 The latest TRANSFORMERS RESCUE BOTS interactive storybook app, based on the hit animated series, suits up the reader as the Rescue Team’s newest cadet and puts them at the center of the action, working with the Rescue Bots to save their friends and “roar to the rescue” in their new dinosaur forms! 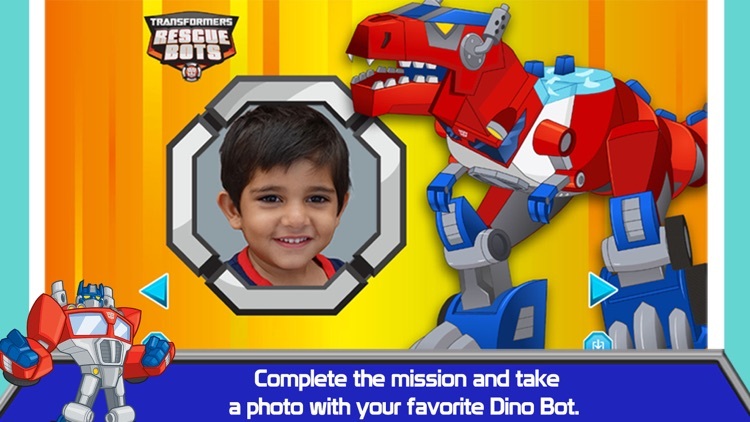 Optimus Prime personally recruits the reader as Griffin Rock’s newest Rescue Team cadet. 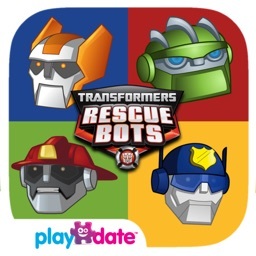 To complete this rescue mission, the Rescue Bots will need to change into their ‘Dino Bot’ forms, but that may not be enough! 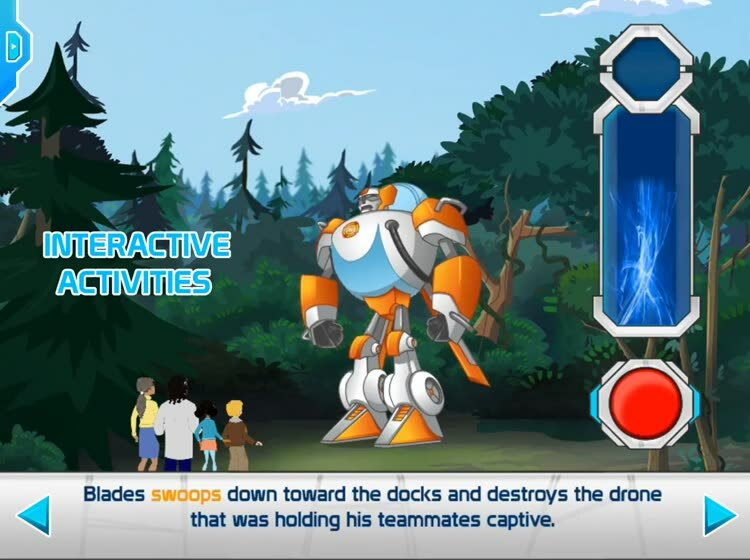 Become a hero in this exciting, interactive adventure by helping the Rescue Bots train for their mission, outsmart Colonel Quarry, and work as a team to bring Frankie and Professor Baranova home. 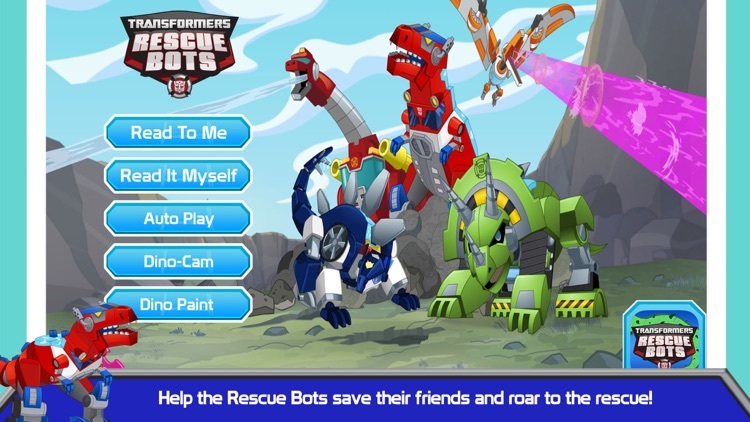 •	Special introduction by Optimus Prime! 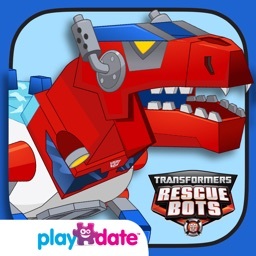 •	Heatwave, Chase, Blades, and Boulder change into dinosaur mode!